Working with project curator, Cheryl Newman, 47 world renowned photographers have generously given their time to shoot for the We Feed the World project. Each has brought their own unique style to the project, beautifully capturing the stories of farming communities across the disparate landscapes of six continents. These extraordinary images provide a snapshot of agroecology in action and champion the resilience of the men and women who currently feed the world. Nick Ballon is a documentary and portrait photographer based in the UK. For the last decade Nick’s personal work has focused exclusively on his Anglo-Bolivian heritage, exploring socio-historical ideas of identity and place, with a particular focus on the concept of ‘foreignness’ and belonging. He has won over 12 awards including the Best in Book and Personal prize at the 2017 CR Photography Annual. 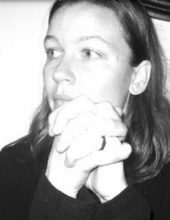 Clare Benson is a photographer, interdisciplinary artist, and educator based in New York City. She has worked alongside hunters, herders, and space scientists, exploring connections across systems of nature, tradition, science, and mythology. 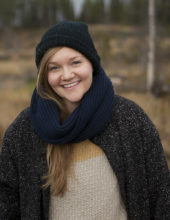 She received her MFA from University of Arizona in 2013, and was the recipient of a Fulbright Fellowship to Arctic Sweden in 2014/15. Her work has been featured in exhibitions and screenings across the US and internationally. Antoine is the winner of many awards including this years Emerging Photographer Fund by Burn Magazine. His work studies people and their relationship to privacy, their physical environment, and to the economic and intellectual conditions that determine them. Antoine’s projects have included Scrublands, which focused on people living self-sufficiently. His photographs have been featured in numerous publications worldwide including The New Yorker, The Washington Post, The Guardian, WIRED, Slate, The Huffington Post and Le Monde. David Chancellor is a multi award-winning documentary photographer. 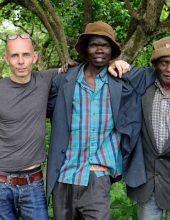 His work brings him across the world, from the tribal lands of Kenya to the sombre mountains of Scotland. Named Nikon Photographer of the Year three times, Chancellor has also won the Taylor Wessing National Portrait Prize in 2010, received a Sony World Photography Award (Nature and Wildlife) and the Veolia Environement Wildlife Photographer of the Year Award. Sian Davey is an awarded photographer in the UK, who investigates the psychological landscapes of both herself and those around her. 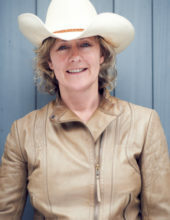 She has been involved in 13 exhibitions and nominated for 22 awards internationally. 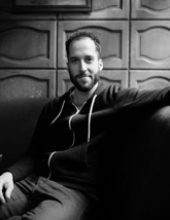 Davide is a current student of photography at the Royal Academy of Art (KABK) in Den Haag, and works as an independent photographer. He has spent time working on The Globo, Segmento and Just Australia in Australia. Omar Victor Diop’s fine art photography is much in demand by galleries and advertisers alike. Born in Dakar, his work is described as interrogative and intriguing, prospective and uplifting, while drawing on his African visual heritage. 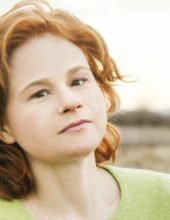 Carolyn Drake is a North American photographer based in Athens, Georgia. 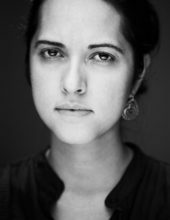 She has worked on personal documentary projects, assigned commissions such as magazine editorial work, workshops, and gives lectures. She is the recipient of a Guggenheim fellowship, the Lange Taylor Prize, a Fulbright fellowship, and the Anamorphosis prize, among other awards. 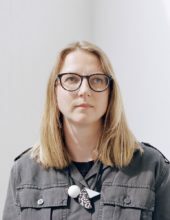 Her work is collected in the SFMOMA, the Library of Congress, and the Ogden Museum of Southern Art, and she is an associate at Magnum Photos. Rena Effendi is a social documentary photographer, whose early work focused on people’s lives in Azebaijan, Georgia and Turkey. Her work has been exhibited world-wide and she has worked on assignments with the National Geographic, The New Yorker Marie Claire and more. 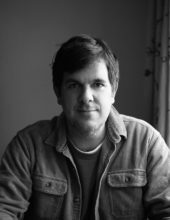 Matt Eich is a photographic essayist working on long-form projects related to memory, family, community, and the American condition. 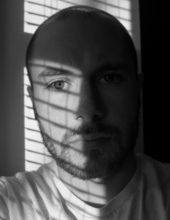 Matt’s projects have received support from an Aaron Siskind Individual Photographer’s Fellowship, a VMFA Professional Visual Arts Fellowship, and two Getty Images Grants for Editorial Photography. 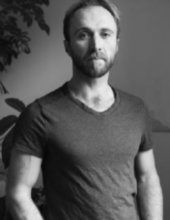 Eich was an artist in residence at Light Work in 2013 and is invited to a Robert Rauschenberg Residency in 2019. He teaches as a Lecturer of Photography at The George Washington University in Washington, DC. Matt accepts commissions and resides in Charlottesville, Virginia with his family. Musee du Quai Branly Photo Quai Biennale, Paris, Brooklyn Museum, New York, Dak’art Biennale, Dakar, Rencontres de Bamako: The African Biennale of Photography, Lagos Photo, Lagos, Walther Collection Museum, Ulm, German , DongGang International Photo Festival, DongGang Photo Museum, DongGang, South Korea He is a 2011 Musee du Quai Branly artistic creation prize. His works have been published in several media including National Geographic, Guardian, New York Time, Time, Die Zeit, Le Monde, CNN African voices. 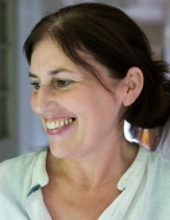 Sophie Gerrard is an award-winning photographer that specialises in contemporary documentary stories with environmental and social themes. 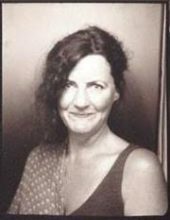 She has achieved over 45 exhibitions and publications, been nominated for 18 awards and is a lecturer in photography at Edinburgh Napier University. Tanya Habjouqa is a documentary photographer with a primary interest in gender, social, and human rights issues in the Middle East. Represented by NOOR, she approaches her subjects with sensitivity but also with an eye for the absurd. 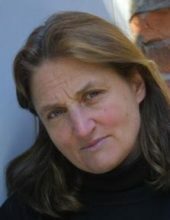 She is the author of Occupied Pleasures, heralded by TIME magazine and the Smithsonian as one of the best photo books of 2015 (winning her a World Press Photo award in 2014). 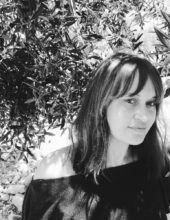 Tanya is a founding member of Rawiya, the first all-female photo collective of the Middle East and she is currently based in East Jerusalem. Tina Hillier is a portrait and documentary photographer based in London. Her clients include some of the world’s leading publications, NGOs and commercial brands and she has twice exhibited at the National Portrait Gallery, London as part of the Portrait Prize exhibition. In particular her work focuses on community and sustainability. Jane is a London based photographer who takes portraits in the Midwest of America. She says her work is about the extraordinary realities of ordinary people’s everyday lives. She turned one of her portrait series about a brothel in Nevada into a ten part BBC series. Jane is also fascinated by subjects that are legal but not socially acceptable. 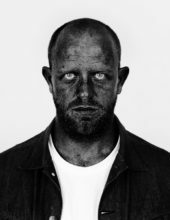 Pieter Hugo is a photographic artist living in Cape Town, but has exhibited internationally for many years, participating in numerous group exhibitions at institutions including Tate Modern, the Folkwang Museum, Fundação Calouste Gulbenkian, and the São Paulo Bienal. His work is represented in prominent public and private collections, among them the Museum of Modern Art, V&A Museum, San Francisco Museum of Modern Art, Metropolitan Museum of Modern Art, and the J Paul Getty Museum. Hugo received the Discovery Award at the Rencontres d’Arles Festival and the KLM Paul Huf Award in 2008, the Seydou Keita Award at the Rencontres de Bamako African Photography Biennial in 2011, and was shortlisted for the Deutsche Börse Photography Prize 2012. Laura Hynd is a photographer and world explorer, best known for her projects ‘Lady Into Hut’ and ‘The Letting Go’. 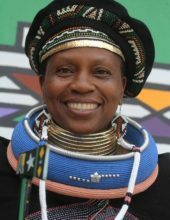 Based in the UK, she hosts a number of public and private seminars and lectures around the country and has won numerous awards for her work. 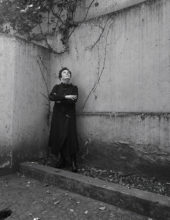 Graciela Iturbide was born in Mexico City, where she continues to live and work. In 1969 she studied film at Centro de Estudios Cinematográficos where she met the master Manuel Alvarez Bravo and worked as his assistant. After this she focused solely on photography. Iturbide has exhibited widely including solo exhibitions at the Centre Pompidou, MOMA, San Francisco and Barbican Centre. In 2013, she had a Retrospective at Tate Modern. Iturbide has received numerous awards including the Hasselblad Award in Sweden and her work is held in many public collections including; MOMA, New York; MOMA, San Francisco and the Museum of Modern Art, Mexico City. Zhang Kechun won the National Geographic Picks Global Prize in 2008, was nominated by Three Shadow Photo Award in 2012, nominated by Sony World Photography Awards in 2012 and 2013, nominated by the Prix HSBC Pour la Photographie 2014. 2014 Daylight photo Award. 2014 Arles Photo Festival Discovery Award. 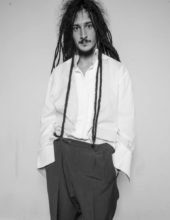 His works were exhibited on 2012 CAFAM-Future Exhibition, 2013 Beijing Photo Biennial, 2013 PHOTOQUAI World Photography Biennale, 2014 Arles Photo Festival, 2014 Beijing +3 Gallery solo exhibition. Pat Kane is a photographer that covers the far North of Canada, and regularly contributes to many projects for magazines, businesses, government departments, NGO’s and marketing agencies nationwide. Joel Karpannen is an award-winning photographer and artist from Northern Finland. He has devoted himself to long-term documentary projects. Despite his young age, Joel Karppanen has received wide recognition including New Photo Journalist Award and Young Hero Grant in 2017. Karppanen has had solo exhibitions in Photographic Gallery Hippolyte, Nykyaika and Oulu August Festival. He has also taken part in the regional exhibition of photographic art of Northern Finland. 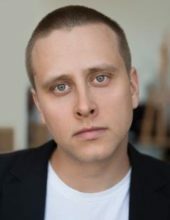 Karppanen is one of the artists of the XXIII Mänttä Art Festival in summer 2018. His first monograph ‘Finnish Pastoral’ will be published in September 2018. Russell Kleyn, is a photographer based in Wellington, New Zealand. He is originally from Cape Town, South Africa where he studied Graphic Design. 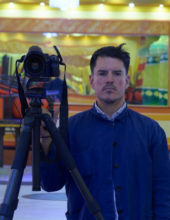 Russell worked in London for 10 years, completing a Post Graduate Certificate in Photography at Central Saint Martins College of Art, London in 2006. His portraits are included in the permanent collections of the National Portrait Gallery in London and the New Zealand Portrait Gallery in Wellington. Katrin Koenning is a photographer from the Ruhrgebiet, Germany who regularly exhibits her work in solo and group shows in Australia and internationally. 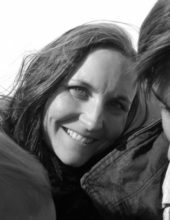 She is a teacher of intensive workshops and masterclasses in photographic practice, working in various countries and with a multitude of organisations. 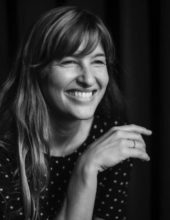 Her work has been published widely in volumes such as Firecrackers: Female Photographers Now, Photographers’ Sketchbooks, Hijacked III, The New York Times, Financial Times Magazine, California Sunday Magazine, National Geographic, Der Spiegel Magazine, The Guardian and ASX amongst others. Jack Latham is a Welsh photographer based in the United Kingdom. He holds a BA in Documentary Photography from Newport University. His work is often presented in a mixture of large format photography and film making and has been realised in several self-published books. Latham is the author of Sugar Paper Theories (HERE PRESS, 2016), which was shortlisted for the Paris Photo / Aperture and Krazna Krausz photobook awards. The exhibition of the same name was later long-listed for the Deutsche-Börse Photography Prize 2017. His work has been exhibited and published internationally. Holly Lynton received a BA in psychology from Yale University, and a MFA in photography from the Milton Avery Graduate School of the Arts at Bard College. Lynton’s photography explores people’s passion for maintaining rural traditions and preserving natural resources despite the challenges of agribusiness, climate change, and technology. 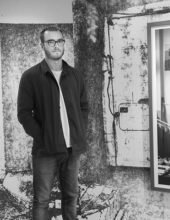 Lynton has been awarded the Aaron Siskind Individual Photographer’s Fellowship (2016), a Massachusetts Cultural Council Artist Fellowship (2013), and The Syngenta Photography Award (2013). Her series Bare Handed has been exhibited in several solo exhibitions in cities in the United States, including Miami, Denver, Boston, and Chicago, as well as included in group exhibitions internationally. 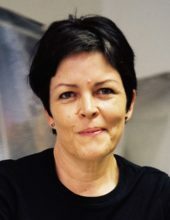 Her work is held in private, corporate, and the public collections of the Yale University Art Gallery and the Center for Creative Photography at University of Arizona. Susan has been a Magnum photographer since 1976, when she became known for her documentation of the Sandanista Revolution in Nicaragua. She directed two feature films about the revolution. 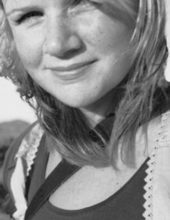 She has had solo exhibitions in London, Paris, New York and Los Angeles and received the Robert Capa Gold Medal for her work. For WFTW, we shot the FEM collective near Managua. Fabrice Monteiro is a photographer, whose images question, in subtle and often symbolic ways, “the evolution of black identity through history.” Engaging with issues of sustainability, mythology, West-African masquerades or Mouridism, his aesthetic taps into photo-reportage, fashion photography and traditional studio portraiture. Monteiro’s work has been exhibited in Belgium, Gabon, Spain, Germany, France, the U.S. and Luxembourg in solo exhibitions and in numerous international group exhibitions, including at the Musée de l’Homme, Paris; the Shanghai Biennial; the Dakar Biennial in Senegal, or the Guggenheim Museum Bilbao (2015). His photographs are in the permanent collections of the Chicago Museum of Photography, the Seattle Museum of Art and the Geneva Museum of Ethnography, Switzerland. Bruno Morais is a Brazilian photographer and founder of the Collectivo Pandilla in Rio de Janeiro. 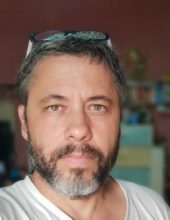 Bruno is very active in spreading photography as a pedagogic tool and an agent for change in certain communities in Brazil. With the Coletivo Pandilla he has shown his work at the gallery Vitrines during FotoRio, Gallery 535 as part of the Favelas Observatory, at FB Gallery in New York City and at the National Historical Museum in Rio de Janeiro. Spencer Murphy is a Fine Art and Commercial Photographer who lives and works in London, contributing to many magazines, including The Guardian Weekend, The Telegraph Magazine, Time, Monocle and Wallpaper. His portraits have also appeared in publications such as the Rolling Stone Magazine, GQ and Dazed and Confused. Murphy has exhibited throughout Europe and North America and was named as one of the Hyeres Festival’s emerging photographers of 2008. 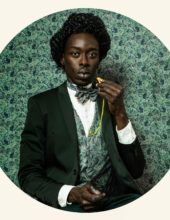 He has also been included in the National Portrait Gallery’s Taylor Wessing Portrait Prize exhibition 7 times and in 2013 was announced as the overall winner. His work is now held in the NPG’s Permanent Collection. Born in Dublin, Ireland, photographer and filmmaker Niall O’Brien studied fine art photography at the Dun Laoghaire Institute of Art, Design and Technology. Niall has exhibited widely in a number of continents and continues to exhibit. 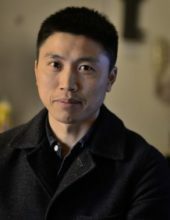 He was shortlisted for the Fuji Photographer of the Year award in 2003 and was the Selected Photographer for the Singapore International Photography Association. 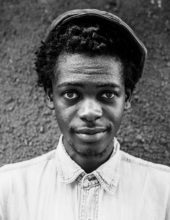 Influenced by the native Ugandan youth and hiphop culture, Kibuuka Mukisa Oscar is a self-taught photographer and artist living and working in Uganda. He comes from an artistic family and chose photography as a tool to spread messages and share joy, but also to develop a profession, artistic-expression and self-discovery. He evolved the motto ‘give a smile to the world’ which he wishes to portray and express in all of his work. 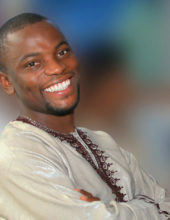 He has been nominated for 4 awards and has publications in the Washington Post and Art Base Africa among others. Biologist, photographer and documentary director of photography currently based between the U.S and Colombia. Federico’s work focuses on compelling human and natural history stories that benefit from his efficient and well crafted cinematography. His clients include National Geographic, Univision, Fox Sports Films, Fusion/HBO, HHMI, Oxford Scientific Films, The Field Museum, DDC, Humboldt Institute, Colombia Wild Magic, Proyecto Tití, Señal Colombia and Diamante Eléctrico among others. Winner of two Emmy awards: one for best documentary cinematography with National Geographic’s Untamed Americas and another one for outstanding feature story in Spanish with “La Amazonía: Un Paraíso a La Venta,” co-produced with Univision. Winner of Smithsonian’s In Motion contest and Imagine Science Films AAAS Scientist Award. Federico’s wildlife and documentary photography has been published widely both in print and digital media and his personal work has been exhibited in galleries in Bogotá, México City and Madrid. Martin Parr is a chronicler of our age. In the face of the constantly growing flood of images released by the media, his photographs offer us the opportunity to see the world from his unique perspective. Martin Parr sensitises our subconscious – and once we’ve seen his photographs, we keep on discovering these images over and over again in our daily lives and recognising ourselves within them. A photojournalist known for his intimate detail of modern British life. He has published 40 photobooks and had over 80 exhibitions around the world. Kate Peter’s is a London based photographer who’s work is informed by a respect and understanding of the craft of image-making. Spanning genres, she has a particular interest in the representation of women and notions of identity and performance in everyday life. Kate’s portraits form part of the permanent collection at the National Portrait gallery, London. Her work has been exhibited internationally and when not on assignment she can be found hanging around the darkroom, running after a toddler or walking her dog to the pub. Michel Pou is a Cuban photographer from Havana. He has worked for Estudio 50, Titina, covered events like ‘Havana World Music’ and featured in exhibitions in the US like ‘El Yuma: Looking at the US from the Island’ and ‘Ola Cuba’ in France. He is interested in documenting his Cuba, the changing times and has photographed many Cuban farmers who are part of the Cuban agroecological renaissance. Qampi is a self-taught photographer who found her niche in the genre of Street Photography. She made photography her career in 2006, after joining a consortium of photographers known as Iilso Labantu (the eye of the people). For the past decade she has focused her lens on daily township life, with particular attention on Khayelitsha, the township in which she has lived since her teens. In 2017 Qampi changed the angle to a new subject: revisiting our history through photojournalism. Her main aim now is to make history through a vision about power, food security, economy, politics, landscape and Earth. She is interested in how all these are needs but they create inequality, division and issues of land. 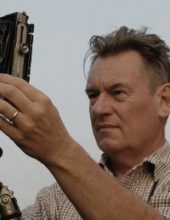 Jo is an internationally acclaimed, multi-award winning photographer whose most recent solo exhibitions include;  After War, The Aftermath of Conflict: Jo Ractliffe’s Photographs of Angola and South Africa, Metropolitan Museum of Art, New York (2015); and  Someone Else’s Country, Peabody Essex Museum, Salem, Massachusetts (2014). Rankin co-founded the seminal magazine Dazed & Confused with Jefferson Hack in 1992, and has since published the likes of AnOther and AnOther Man, alongside over 40 books and the biannual fashion, culture and lifestyle print and digital platform, Hunger. His photography has been published everywhere from his own publications to Elle, Vogue, Esquire, GQ, Rolling Stone, and Wonderland, and exhibited in galleries around the world, including MoMA, New York, and the Victoria & Albert Museum, London. 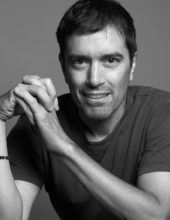 As a director, through the eponymous Rankin Film, he has created campaigns for the likes of Nike, L’Oreal, Dove, Pantene, Diageo, Women’s Aid, and Comic Relief alongside music videos for, amongst others, Miley Cyrus, Rita Ora and Kelis. 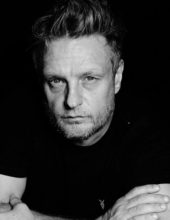 Fearless behind the lens, Rankin’s visuals have become ingrained in contemporary iconography. Hannah Reyes Morales is a Filipina photojournalist whose work focuses on individuals mired in complex situations created by inequality, poverty, and impunity. This includes photographing human trafficking at sea for the New York Times, reporting on war crimes against Cambodians for Al Jazeera America, and documenting changing indigenous cultures in the Philippines for a grant from National Geographic. 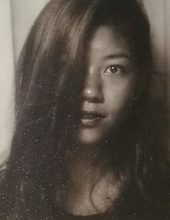 Her work has been published in print and online in the New York Times, Washington Post, Wall Street Journal, Time (online), National Geographic (online), Guardian, and Lonely Planet, and has been exhibited in Manila, Telluride, Copenhagen, Aalborg, Nanning, Suwon, and Chiang Mai. 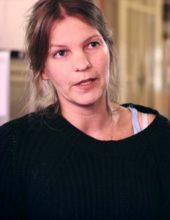 Clare has exhibited her work at the Victoria and Albert Museum, White Cube and the National Portrait Gallery. Tim Richmond graduated in Film and Photography from London College of Printing. For over 25 years Richmond has photographed for international publications including L’Uomo Vogue, Vanity Fair, Telegraph Magazine, World of Interiors, GQ, and Nowness. 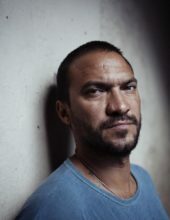 Since 2008 he has concentrated on his long-term documentary projects and has exhibited widely including exhibitions at Brugge Foto Festival (2017), Grimaldi Gavin – London (2015) and Rencontres d’Arles – The Night of the Year (2015). He is represented by Francesca Maffeo Gallery (UK) where he will be having a solo show in October/November 2018. Richmond’s work is held in many private collections. 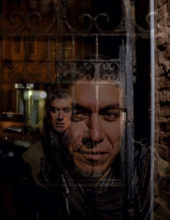 James Rodríguez is an award-winning US-Mexican documentary photographer represented by Panos Pictures. 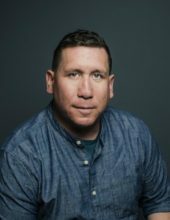 Raised in Mexico City, James received a degree in Cultural Geography from the University of California, Los Angeles, and has been based out of Guatemala since 2006, focusing primarily on a long-term post-war visual project on the tiny Central American nation. 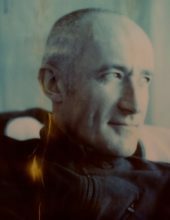 A self-taught photographer, James’ work has been published in The New York Times, Der Spiegel, Le Monde, The Guardian, and other major publications. James’ work has also been exhibited in numerous venues worldwide, including the Corcoran Museum in Washington DC, and some of his photographs form part of the permanent collection at Mexico City’s Museum of Memory and Tolerance. Jordi Ruiz Cirera is an independent documentary photographer who combines personal long-term projects with editorial, NGO and corporate assignments for a broad range of international clients. He holds a degree in Design, and an MA in Photojournalism and Documentary Photography from the London College of Communication. 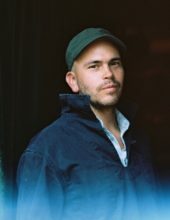 He has won numerous international prizes including the Taylor-Wessing Photographic Portrait Prize, National Portrait Gallery, London, the Magnum Emergency Fund Grant, the DB Award for Photography, Magnum 30 under 30, AOP Student Photographer of the Year, POYi, Lucie Awards or the Magenta Flash Forward. 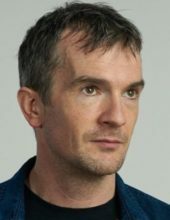 He has exhibited widely in galleries and festivals, and is a regular contributor of media such as the NY Times, the Sunday Times Magazine or the Guardian. In 2014 he published his first monograph, Los Menonos, with independent publishing house Editions du LIC. 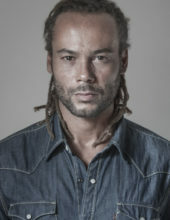 Stefan Ruiz was creative director at COLORS magazine. His work has appeared in magazines, including the New York Times Magazine, The New Yorker, Financial Times Magazine, Vogue and Rolling Stone. Ruiz has exhibited widely including at the ICP New York, Photographers’ Gallery, London, Les Rencontres d’Arles, PhotoEspaña, Havana Biennial and the Contact Photography Festival in Toronto. He has published four monographs including “The Factory of Dreams”, a book on Mexican Soap Operas, published by Apeture and “Mexican Crime Photographs” published by GOST Books in 2016. After fifteen years of working as a photographer and filmmaker in what is fashionably known as ‘development’, Jason has finally come to the realisation that much of what he was involved in was little more than managed poverty. He started to realise that he was becoming a part of that system and began to understand that it is an industry like any other. He began to question the work he was doing and the absolute disconnect between those who commissioned him and those he was there to document. 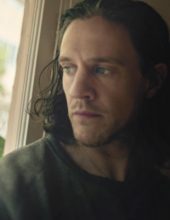 As a result he made a shift and founded the source project to create meaningful media that is not exploitative and is based on positive stories and a sense of compassion. 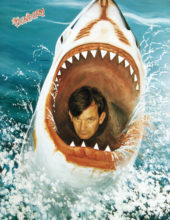 Martin is a British photographer who has lived in Jakarta, Indonesia since 1988. 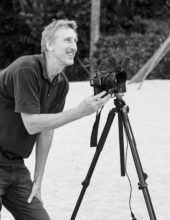 He has a passion for travel and photography and has been nominated for 6 international awards. His work is featured with a diverse range of editorial and commercial clients. When not on assignment Martin continues to shoot a long term personal project on Indonesia’s volcanoes. 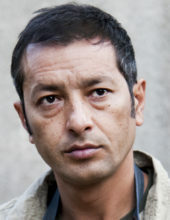 Born in Kabul, Afghanistan, Zalmaï left the country after the Soviet invasion in 1980. He traveled to Lausanne, Switzerland, where he became a Swiss citizen. Following his passion for Photography, Zalmaï pursued combined studies at both the School of Photography of Lausanne and at the Professional Photography Training Center of Yverdon. In 1989, he began to work as a freelance photographer, traveling around the world but eventually returning to Afghanistan, where he continues documenting the ongoing war and plight of the Afghan people. His work has been published in several magazines and newspapers, including the New York Times Magazine, Time Magazine, The New Yorker Magazine and Harper’s Magazine. He has also worked for a number of International Organizations and NGOs, including Human Rights Watch, International Committee of the Red Cross, UN Office On Drug and Crime, and the UN Refugee Agency.